Julian McWilliams reports Franklin Barreto will likely begin the season in Triple-A. 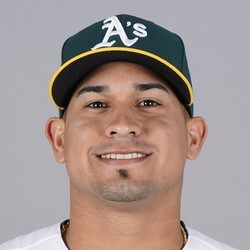 Barreto was expected to make the Opening Day roster following Matt Olson's hand injury, but Oakland's recent acquisition of Kendrys Morales spoils that plan. The 23-year-old somewhat disappointed in the majors last season, but he was once considered a top prospect and is still young enough to turn things around. Barreto is a decent stash in dynasty leagues.